It takes a Legend…. to be a Star! Table Tennis CCA in Metta School has produced some of our top players in recent years. Some of these students took up the Table Tennis CCA without any clue or skills at first on how to play the game but they put their heart and soul in practicing and training hard under the wings of dedicated teachers who played the game well. But what is more important is that this CCA cultivated the students in their character building, discipline, team spirit and responsibility. In no time, they are ready to tackle the fast movement, execute swift reactions and exchange blows with their opponent. 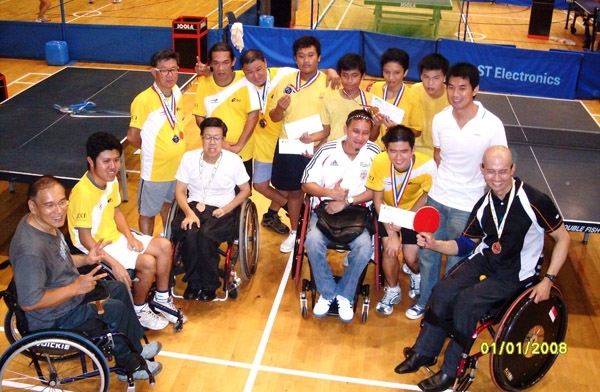 Metta School also sent their players to take part in the National Disability League organized by the Singapore Disability Sports Council in 2009 and 2010 and Voila, Metta School emerged as the overall Champion for 2 consecutive years. Indeed it takes a legend… to be a star!